Preschool Cloud Experiment & Weather Blog Hop! 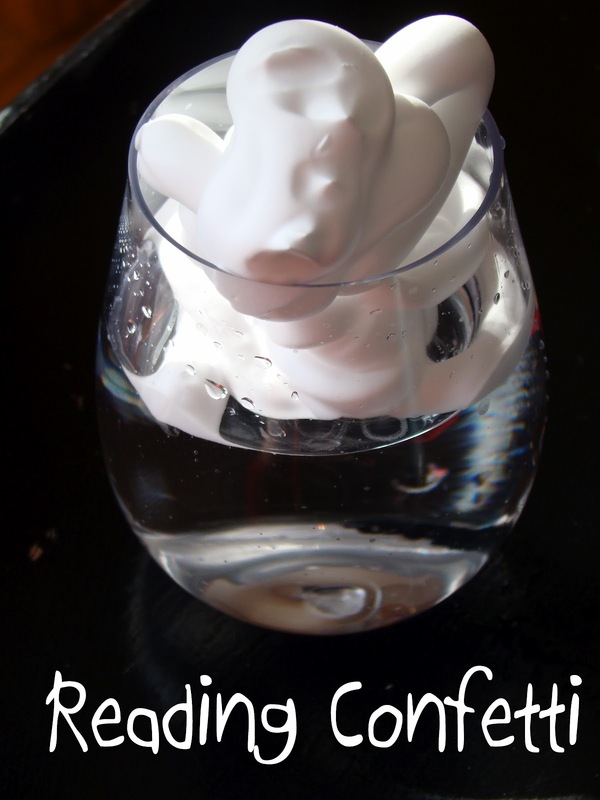 This is a cute activity to not only make your own clouds, but to make the clouds rain! First we filled a clear glass with water and topped it with a shaving cream cloud. 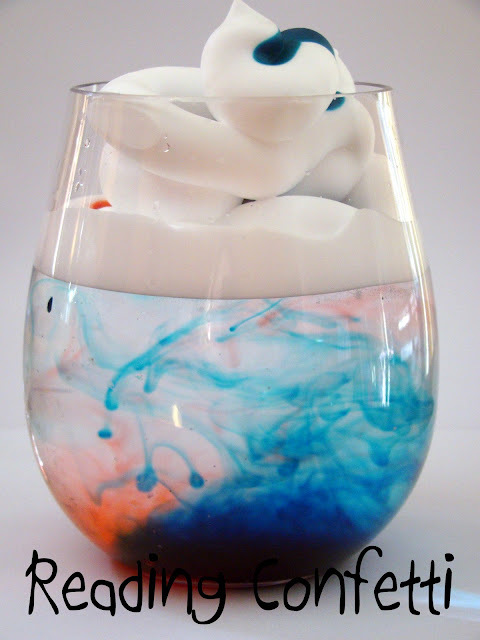 Then we dropped food coloring on the top until it started to rain! 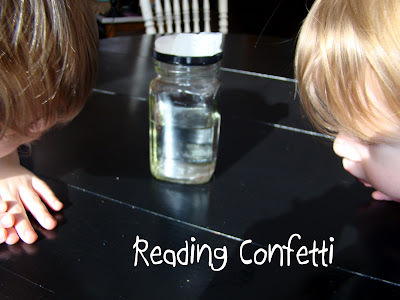 The kids really liked this activity and wanted to do it over and over again. We paired it with The Cloud Book , which I paraphrased since it was a little long for them. It describes all kinds of clouds and uses the proper names for them. It also tells about what people have believed about clouds throughout history. It's factual without being boring. We also tried another cloud experiment. We put warm water in the bottom of a jar with ice cubes on the top. 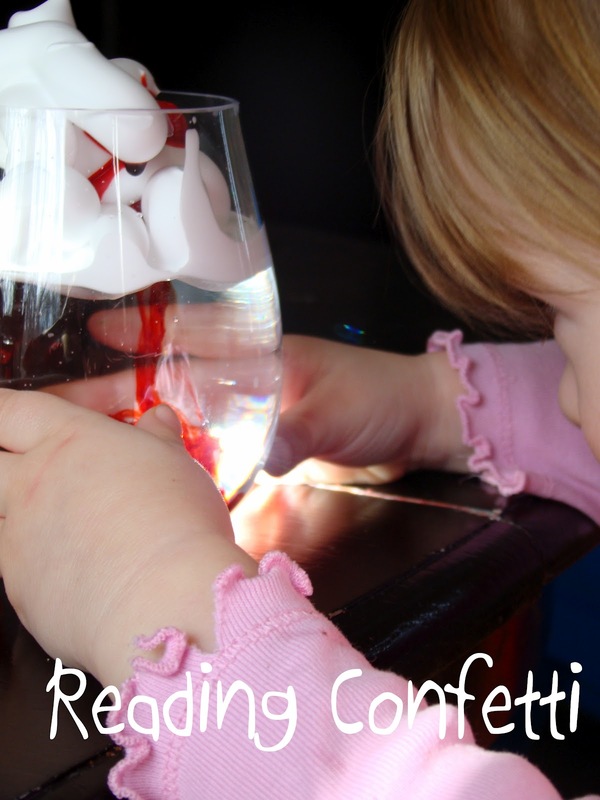 It was supposed to form a "cloud" and the condensation would "rain", but this required more patience and wasn't a big hit. Do you have your own weather activity to share? Link it up below and it will appear on all of these participating blogs! 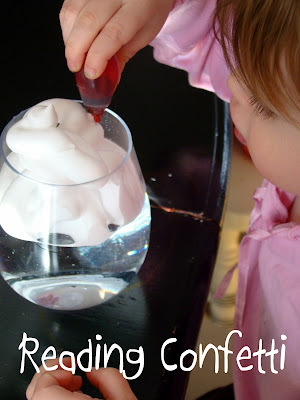 Each of these blogs is also sharing a weather related activity so be sure to check them out! This is such a fun and very pretty experiment! We'll definitely have to try it! You've got clouds, I've got rainbows this week :) we're quite a pair! Ps. I adore anything by Tomie DePaola... even if it's too long for the kiddos to sit through! Thanks for the invite to link up! :) I'm finding LOTS of ideas here for more stuff this month. this looks so fun! bear and i will have to try this! This is a great idea! This is really helpful for teachers. Also, this helps the kids to develop their skills. INCREDIBLE THINKING!! You did really making sense. My little baby girl like different things to do and I think this will be enjoyable for me also.